Bishop Jefferson-Snorton is President of Churches Uniting in Christ, Chair of the Pan-Methodist Commission, Chair of the Family Life Committee of the World Methodist Council, a member of the Board of Directors of the World Methodist Evangelism, Inc., Chair of the Board of Directors of the National Institute for Human Development, a member of the Advisory Board for Candler School of Theology at Emory University, the Board of Trustees of the Interdenominational Theological Center and the Board of Trustees of the Phillips School of Theology. In the CME Church, she is Vice Chair of the Board of Directors for the Connectional Headquarters, Chair of the Committee on Ministerial Assessment and Secretary of the CME College of Bishops. During 2013-2014, she served Chair of the College of Bishops of the CME Church. Bishop Jefferson-Snorton is the founder of the empowerment conference “The Phenomenal Women’s Summit” and an advocate for healthy communities and healthy churches through initiatives such as the Academy for Public Theology, the Church Garden Project, Faith and Fitness, Mental Health Education for Congregations and the Rural Leadership Development Institute. She has a B.A. degree from Vanderbilt University, a Master of Divinity degree from Louisville Presbyterian Theological Seminary, a Master of Theology degree from Southern Baptist Theological Seminary, a Post-Graduate Certificate in Patient Counseling from Virginia Commonwealth University, and the Doctor of Ministry degree from United Theological Seminary in Dayton, Ohio. certified Chaplain with the Association of Professional Chaplains. She is a member of Alpha Kappa Alpha Sorority, Inc. She previously pastored in Kentucky and served on ministerial staffs in Virginia and Georgia. She previously served as the Executive Director of the national Association for Clinical Pastoral Education (2000-2012) and as Executive Director and Pastoral Education Director in the Emory University Center for Pastoral Services (1990-2000). Her publications are on tpoics related to pastoral care, pastoral education and women’s issues. She has taught Pastoral Care and Counseling at the Candler School of Theology at Emory University (1991-2010), Virginia Commonwealth University (1987-1990), and the School of Theology at Virginia Union University (1988-90). 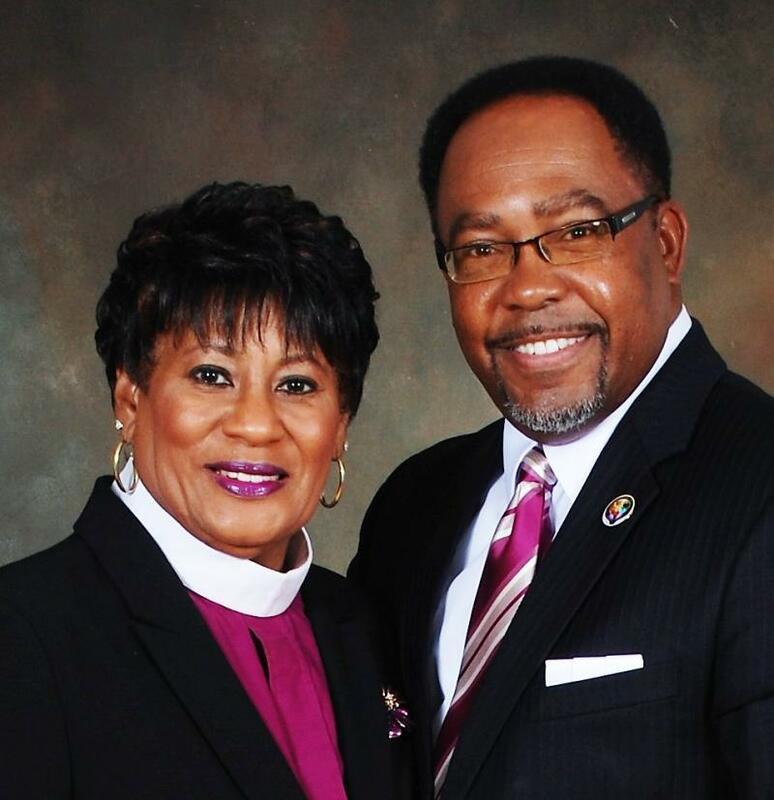 Bishop Jefferson-Snorton, a native of Kentucky is married to Rev. Lawrence Jefferson-Snorton and is the mother of two adult sons and two grandchildren.